Football’s global popularity has resulted in airline sponsorship becoming increasingly common for many teams. Here, we look at five carriers who have aligned their brand with a football team. 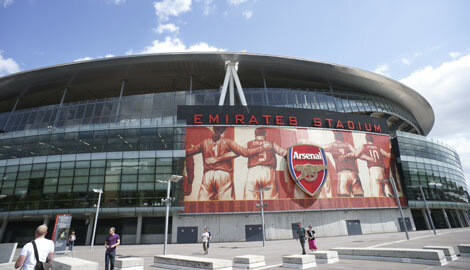 Emirates has always held football as an important asset in its sponsorship portfolio and has deals in place with both Arsenal and Paris Saint-Germain. The airline’s partnership with Paris Saint-Germain began in 2005 and extended its reach as the club’s main shirt sponsor from 2006. Its relationship with Arsenal dates back to 2004; in addition to its shirt partnership, which under the most recent deal will last until 2018/2019, Emirates also holds the naming rights to the club’s home ground, Emirates Stadium in north London. Emirates also sponsored clubs including AC Milan, SL Benfica, Hamburger SV, Real Madrid CF and Olympiacos FC. Delta joined the football world as the Chelsea’s official global airline partner in 2012. Although the airline is not a principal sponsor, Chelsea chief executive Ron Gourlay best highlighted both the team and the carrier’s benefits through the club partnership. Delta will guarantee the team can reach all destinations and travel in comfort, while encouraging the airline’s transatlantic growth in utilising London as an important hub. Etihad has been Manchester City’s main club partner since 2009. The team’s home stadium has been renamed Etihad Stadium, which now acts as the centre of “Etihad Campus”, an area of Sportcity which includes a training facility, which opened in December 2014, and open land that will see future developments. Last year, Melbourne City FC announced Etihad as its principal partner, while later that year it was revealed that Etihad would become New York City FC’s principal partner as well. Both partnerships are part of a five-year deal and will feature Etihad’s name and logo on the players’ shirts. In fact, Manchester City and New York City will have essentially the same colours and design. Qatar is one of two, alongside Nike, of FC Barcelona’s main partners. In 2011, the Qatar Foundation entered into a five-year deal with the Spanish team. However, after two years the deal was resigned to announce Qatar Airlines as the main sponsor. Among the benefits, the carrier has added it name and logo to players’ jerseys. Not only has the investment aided in publicity for the airline, but it has also increased the number of flights between Doha and Barcelona. Sunderland Football Club is sponsored, in part, by South African Airways. The partnership was announced in 2013 and the airline continues to help the team on all aspects of travel throughout Africa.